At the opening of our worship services we light a flame inside a chalice. This flaming chalice has become a well-known symbol of our denomination. It unites our members in worship and symbolizes the spirit of our work. The flaming chalice combines two archetypes -- a drinking vessel and a flame -- and as a religious symbol has different meanings to different beholders. Chalices, cups, and flagons can be found worldwide on ancient manuscripts and altars. The chalice used by Jesus at his last Passover seder became the Holy Grail sought by the knights of Wales and England. Jan Hus, Czech priest and forerunner of the Reformation, was burned at the stake for proposing, among other things, that the communion chalice be shared with the laity. More recently, feminist writer Riane Eisler has used the chalice as a symbol of the "partnership way" of being in community. Sharing, generosity, sustenance, and love are some of the meanings symbolized by a chalice. As a sacrificial fire, flame has been a central symbol for the world's oldest scriptures, the Vedic hymns of India. Today, lights shine on Christmas and Hanukkah, eternal flames stand watch at monuments and tombs, and candles flicker in cathedrals, temples, mosques, and meeting houses. A flame can symbolize witness, sacrifice, testing, courage, and illumination. The chalice and the flame were brought together as a Unitarian symbol by an Austrian artist, Hans Deutsch, in 1941. Living in Paris during the 1930s, Deutsch drew critical cartoons of Adolf Hitler. When the Nazis invaded Paris in 1940, he abandoned all he had and fled to the South of France, then to Spain, and finally, with an altered passport, into Portugal. There, he met the Reverend Charles Joy, executive director of the Unitarian Service Committee (USC). The Service Committee was new, founded in Boston to assist Eastern Europeans, among them Unitarians as well as Jews, who needed to escape Nazi persecution. From his Lisbon headquarters, Joy oversaw a secret network of couriers and agents. Joy asked Deutsch to create a symbol for their papers "to make them look official, to give dignity and importance to them, and at the same time to symbolize the spirit of our work.... When a document may keep a man out of jail, give him standing with governments and police, it is important that it look important." The flaming chalice design was made into a seal for papers and a badge for agents moving refugees to freedom. In time it became a symbol of Unitarian Universalism all around the world. The story of Hans Deutsch reminds us that the symbol of a flaming chalice stood in the beginning for a life of service. When Deutsch designed the flaming chalice, he had never seen a Unitarian or Universalist church or heard a sermon. What he had seen was faith in action—people who were willing to risk all for others in a time of urgent need. 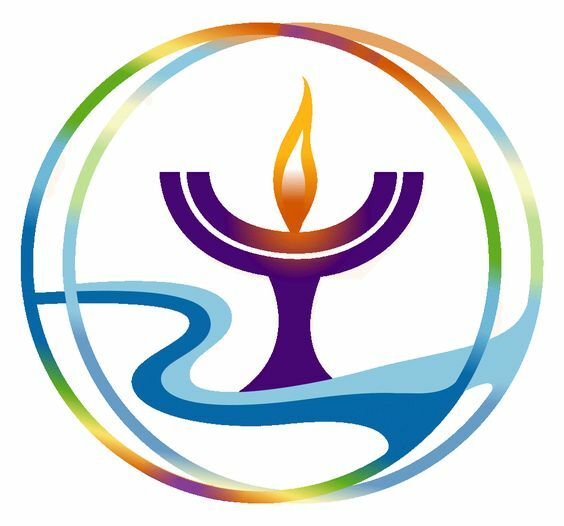 Today, the flaming chalice is the official symbol of the Unitarian Universalist Service Committee and the Unitarian Universalist Association. Officially or unofficially, it functions as a logo for hundreds of congregations. Perhaps most importantly, it has become a focal point for worship. No one meaning or interpretation is official. The flaming chalice, like our faith, stands open to receive new truths that pass the tests of reason, justice, and compassion.